Vladimir Zworykin with his Kinescope CRT. Zworykin was an early pioneer of television. July 30 is Vladimir Kozmich Zworykin’s birthday. You may not know who Zworykin is, but you do know what he was involved with. Zworykin was a Russian-American engineer and inventor who pioneered early television technology. He developed a series of cathode ray tubes that would turn visual signals into electronic signals. He then transferred them to a different cathode ray tube back which converted them back into visual signals. A cathode ray tube is a vacuum tube containing a high voltage electron emitter at one end and a fluorescent screen that would light up when the emitted electrons strike it. 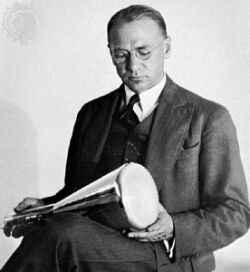 Zworykin proved to be a master of the cathode ray tube. He created tubes that functioned as electron storage tubes, infrared camera tubes and even an early form of the electron microscope. Zworykin was a student of Boris Rosing who in 1907 patented an early television system with a cathode tube screen and mechanical transmitter. Zworykin continued to improve his teacher’s systems until he fled Russia during its civil war. He crossed Siberia and into the United States. He briefly returned to Russia to work for the government. Part of his job involved traveling to the United States on business. During one trip, the Communist government took over and Zworykin decided to stay in the United States permanently. He obtained a position at Westinghouse Laboratories where he continued his television experiments. Westinghouse management felt television wasn’t worth his time and perhaps he “should devote his time to more practical endeavors.” Even with this encouragement, he continued to improve his systems until he patented a cathode tube receiver called the Kinescope in 1929. With his new patent, he began working at RCA’s laboratories to try and develop a new transmission system. He eventually created the Iconoscope transmitter that was used to record the 1936 Olympic Games in Berlin. 1971 – Apollo 15 lands on the Moon. Apollo 15 mission became the fourth mission to land on the moon when the Falcon lunar lander touched down. This mission allowed the astronauts to spend more time on the surface of the moon. 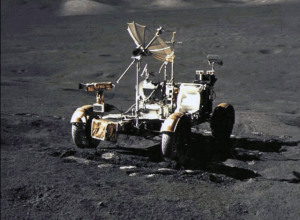 The lander stayed three days on the surface and the crew conducted over 18 hours of outside work. 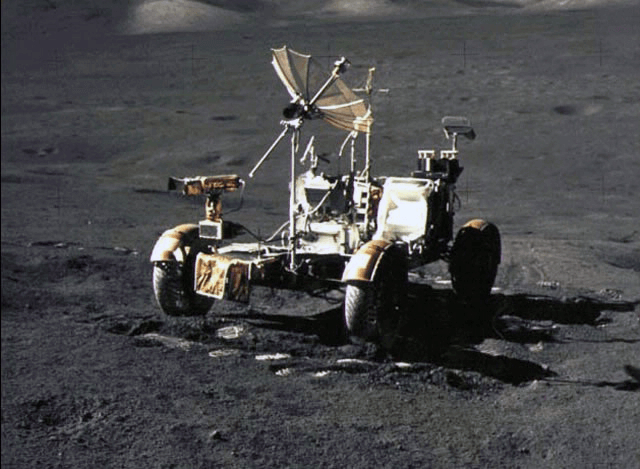 They also were aided for the first time by a lunar rover vehicle. Apollo 15 was crewed by astronauts David R. Scott, Alfred M. Worden, and James B. Irwin. 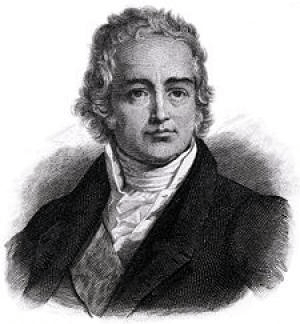 1832 – Jean Antoine Claude Chaptal died. Chaptal was a French industrial chemist who made many improvements to the processes of making sulfuric acid and saltpeter and new ways of manufacturing dyes and bleaching. He also found that adding sugar to unfermented wine would increase the alcohol content of the finished wine. The element nitrogen owes its name to Chaptal. Chemists knew there was a gas left in a container when the air was burnt away. This gas was known as “dephlogisticated air”. Antoine Lavoisier named the gas azote meaning ‘lifeless’ but Chaptal suggested the name nitrongenes, meaning ‘niter forming’ since the gas produced niter or potassium nitrate (KNO3).